Fear Effect Sedna is ranked in the 6th percentile of games scored on OpenCritic. In Fear Effect Sedna we find a very linear adventure, but surprisingly varied. We find an isometric perspective game, which at times may seem that it does not pay too much attention to details. However, it is in the graphics that we see one of the main changes with respect to the original. In addition, the sound is simply impeccable and transports us completely to the story. With Fear Effect Sedna, Sushee has managed to create a different yet faithful new episode in a long forgotten cult franchise. While the gameplay mechanics are not optimal for most, and the graphics engine is sub-par for what you would expect from a 2018 title, but it's worth picking if you're a fan of Fear Effect. Here's hoping Fear Effect Reinvented, a remake of the original Fear Effect and Sushee's other project, will be a better way to showcase the French studio's talent. Fear Effect Sedna is a flawed return for the late PS1-era classic, with its combat occasionally being a bit clunky and not utilizing the tactical elements as well as it wanted to. But the creepy descent into Inuit horror, stylish graphics, and challenging puzzles and gameplay may still provide you with enough reasons to take a peek at it. Fear Effect Sedna may not be the true sequel fans were looking for, but it still delivers an enjoyable story along with creative puzzles and detailed environments. If you take the time to learn how to fully utilise the tactical mode, or you just love micro-managing things, then the combat may work out better for yourself than it did for me. If you don't mind the issues the game currently has and you are a fan of the original games then you may want to try the game out in order to see Hana and friends on their new adventure, however gamers new to the series may not enjoy the story and the setting as much as the fans. If you were a huge fan of this series, or games from that era, you could find a lot to like here. It's rough around the edges with cheesy acting, and a lot of game over screens, but if that doesn't put you off you could find an enjoyable time here. The cell shaded look of Sedna and the soundtrack are excellent, but the change in gameplay, some of the combat and the isometric look lessened my enjoyment. The puzzles and innovative ideas are great though and some of the world themes are interesting to revisit, but it most certainly left me remembering the original as the better experience. Fear Effect Sedna makes use of a beloved franchise name and ends up deliverying a totally different experience from what it is expected when the name Fear Effect is heard. If you play it and simply forget about the brilliant past two first games from the franchise, you might be able to have fun with it. 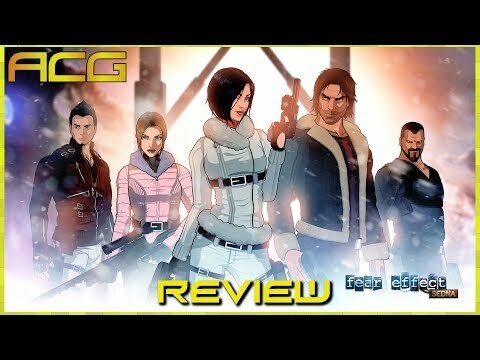 Fear Effect Sedna is a major disappointment especially if you are a fan of the series. The game certainly is ambitious but that doesn't help it solve many of its underlying problems. The truth is Fear Effect Sedna is not a good game. It’s more frustrating than it is satisfying and it will test the best resolve in the world if you are determined to see it through to the end. In this case, sadly, patches and fixes can only paper the cracks of what is an inherently flawed sequel. Fear Effect Sedna is vapid and vain, like a B-movie with a bit of gorgeous cinematography. Its gameplay falters miserably and even with the unmistakable atmosphere of the old games, Sedna just isn't enjoyable to sit through. With a cast of characters that are forgettable and challenging gameplay that punishes you with load times and long waits between game over screen to starting at the last check point, I would steer clear of this title unless you are a fan of the previous titles. I believe there are gamers out there who are more forgiving of these things than I am, but I couldn’t recommend it to someone without outlining the frustrations I had. Fear Effect Sedna revives a cult-classic IP, but the game's flat, subdued script, forgettable characters, and poor controls ultimately hamper this effort. The more masochistic crowd of gamers out there will get a kick out of the formidable puzzles and vicious death cutscenes. The pure mediocrity of the rest of the game doesn't do enough to make it a worthy recommendation, however. As mentioned earlier, a name carries expectations. Strictly in terms of game design, Fear Effect Sedna is quite possibly the strongest the series has ever been. However, it doesn't go far enough to make up for its deficiencies in atmosphere and storytelling. As it turns out, this title is as cold and distant as its locales and isometric perspective suggest. There's very little imagery to provoke thoughts or spark the imagination, just a high body count and a lot of swear words. Even if that were enough for a Cyberpunk game, it's handled in a manner that isn't stylish or memorable. All in all, this entry is a difficult recommendation, especially for Fear Effect fans. Fear Effect Sedna is a game that does just enough to be considered basic. Unfortunately, for fans of the Fear Effect series, this is not a triumphant return for the franchise but more so a reminder that it exists. Fear Effect Sedna once again takes us to a distinctive universe of a popular series, but it suffers from plethora of irritating bugs. This time they've built-up enough to spoil a good idea for the game. A game full of more than it's fair share of style unfortunately lacks any of it's fair share of substance. It may be worth a look if you are a long time fan of the series but there are much better examples of this style of game for everyone else. Overall Fear Effect Sedna gets a 4/10, it is fun in some areas with in-depth and difficult puzzles. Combat becomes too annoying in the later sections with party management becoming a hassle due to the mechanics. You cannot customise your character enough, or even stick to a certain playstyle as the game will swap between sneaking, action and puzzles. Bad puzzles, repetitive combat, and poorly designed encounters are constant companions. I respect the desire and the work that must have gone into making this revival a reality. I just wish the product would have been better for long-suffering fans. Fear Effect Sedna is a flawed sequel that misses its target by changing the franchise’s genre and stretching itself too far beyond its means. By minimalising the survival aspect, even its own namesake has become redundant. Fear Effect Sedna is a case of improperly executed good intentions. It has an intriguing story at its core, but the bad script fails to make it shine. 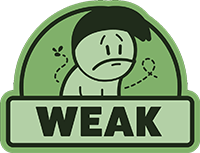 It has lots of different gameplay mechanics at work, but none of them feel good, let alone good enough to carry the weaker parts. It has a presentation that's less than stellar, even for fans who enjoyed the originals. There's still a chance that you can enjoy the game, but you'll have to forgive the various flaws to do so. A failed attempt at resurrecting a cult favourite, Fear Effect Sedna is a tactical shooter in which tactics are largely irrelevant. Atrocious cut-scenes, dreadful boss encounters and dire presentation overall, make this something better left in the past. Steer well clear. Sedna paints a bleak future for this series. It is a sloppy mess that gets off on the wrong foot, only to shoot itself in the foot right after. It is a weird hodgepodge of body horror, cyberpunk sleaze, and secret agent shenanigans that, in theory, should work, but don't.